Help Us Support the Prostate Cancer Community at SEA Blue! 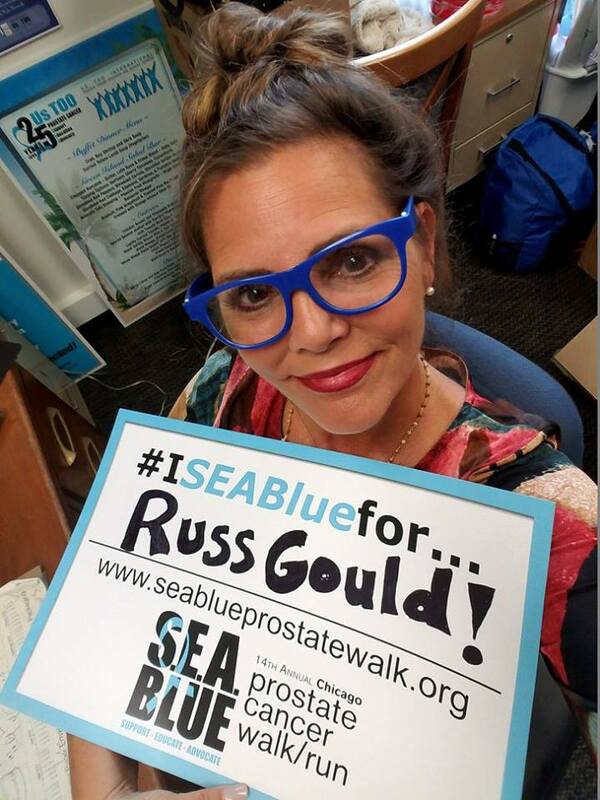 Russ Gould was one of the founders of the SEA Blue Chicago Prostate Cancer Walk and Run when it first started 14 years ago. Not only was he the best mentor anyone could have, he was a wonderful friend and one of the most positive, strong and passionate men I have ever met. Russ took me under his wing when I first started with Us TOO in 2004 and taught me so much. He loved Us TOO and especially educating others about prostate cancer and how important diet and exercise are. He preached to empower yourself with education and tools so that you can TAKE CHARGE OF YOUR HEALTH! I believe with all my heart that Russ is constantly watching over and guiding us all through. I know how proud he is that this event continues each year!